After the Pinocchio coat rack I got a taste for some more. Because a tree branch coat rack makes sense related to Pinocchio's nose, the only other subject I could think of are birds. A bird sitting on a tree branch. 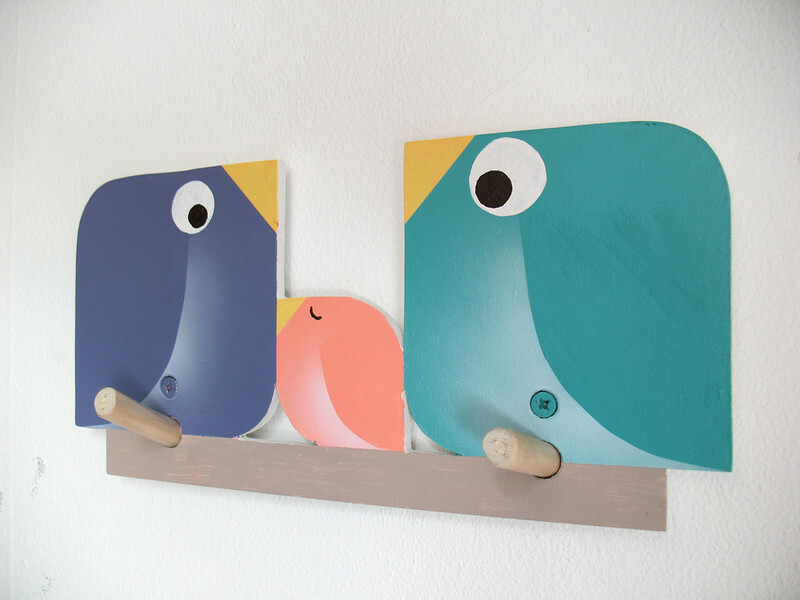 So I quickly designed some simple birds and cut the design out of MDF board. Give it a coat of white acryllic paint and drilled holes for the tree branch and screws. 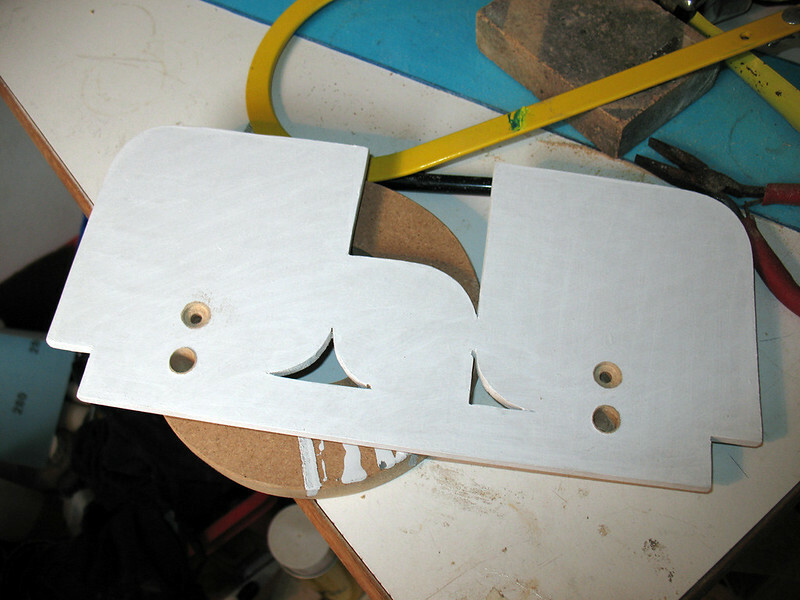 The back is reinforced with an extra piece of MDF which also acts as a spacer between the wall and the coat rack. The birds were hand painted with some shading done with an airbrush. Came out real nice. You can probbaly find them real soon in my Etsy shop.